A transaction account, checking account, current account or demand deposit account is a deposit account held at a bank or other financial institution. It is available to the account owner "on demand" and is available for frequent and immediate access by the account owner or to others as the account owner may direct. Access may be in a variety of ways, such as cash withdrawals, use of cheques and debit by electronic transfer. In economic terms, the funds held in a transaction account are regarded as liquid funds and in accounting terms they are considered as cash. Transaction accounts are operated by both businesses and personal users. Depending on the country and local demand economics they may not earn any or they can earn very high interest rates. Again depending on the country the financial institution that maintains the account may charge the account holder maintenance or transaction fees or offer the service free to the holder and charge only if the holder uses an add-on service such as an overdraft. Transaction accounts are known by a variety of descriptions, including a current account (British English), chequing account or checking account when held by a bank, share draft account when held by a credit union in North America. In the United Kingdom, Hong Kong, India and a number of other countries, they are commonly called current or cheque accounts. Because money is available on demand they are also sometimes known as a demand accounts or demand deposit accounts. In the United States, NOW accounts operate as transaction accounts. A current account is the form of transactional account found in the United Kingdom and other countries with a UK banking heritage; a current account offers various flexible payment methods to allow customers to distribute money directly to others. Most current accounts come with a cheque book and offer the facility to arrange standing orders, direct debits and payment via a debit card. Current accounts may also allow borrowing via an overdraft facility. 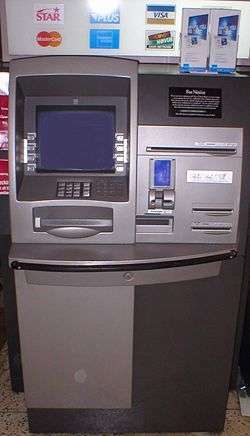 One of the main differences of a current account to an American checking accounts, is that they earn considerable interest, sometimes comparable to a savings only account, and there is no charge for withdrawals at ATM's, unless it's a third party ATM machine when the third party company will charge. In Holland in the early 1500s, Amsterdam was a major trading and shipping city. People who had acquired large accumulations of cash began to deposit their money with cashiers to protect their wealth. These cashiers held the money for a fee. Competition drove cashiers to offer additional services, including paying out money to any person bearing a written order from a depositor to do so. They kept the note as proof of payment. This concept spread to other countries including England and its colonies in North America, where land owners in Boston in 1681 mortgaged their land to cashiers who provided an account against which they could write checks. In the 18th century in England, preprinted checks, serial numbers, and the word "cheque" appeared. By the late 18th century, the difficulty of clearing checks (sending them from one bank to another for collection) gave rise to the development of clearing houses. SWIFT: International account to account transfer. The cheque is the traditional mode of payment for a transactional account. In the United Kingdom, Faster Payments Service offers near immediate transfer, BACS offers giros that clear in a matter of days while CHAPS is done on the same day. In India, NEFT and RTGS services are available to clear funds in a day. Customers may need to attend a bank branch for a wide range of banking transactions including cash withdrawals and financial advice. There may be restrictions on cash withdrawals, even at a branch. For example, withdrawals of cash above a threshold figure may require notice. Many transactions that previously could only be performed at a branch can now be done in others ways, such as use of ATMs, online, mobile and telephone banking. Cheques where the traditional method of making withdrawals from a transaction account. Today, cheques are not the most common ways of accessing the funds in a transaction account, having being overtaken by electronic fund transfers, they are still the most used method of transferring funds by value. Automated teller machines (ATMs) enable customers of a financial institution to perform financial transactions without attending a branch. This enables, for example, cash to be withdrawn from an account outside normal branch trading hours. However, ATMs usually have quite low limits for cash withdrawals, and there may be daily limits to cash withdrawals other than at a branch. With the introduction of mobile banking a customer to perform banking transactions and payments, to view balances and statements, and various other facilities using there mobile phone. In the UK this has become the leading way people manage their finances, as mobile banking has overtaken internet banking as the most popular way to bank. Internet or online banking enables a customer to perform banking transactions and payments, to view balances and statements, and various other facilities. This can be convenient especially when a bank is not open and enables banking transactions to be effected from anywhere Internet access is available. Online banking avoids the time spent travelling to a branch and standing in queues there. However, there are usually limits on the value of funds that can be transferred electronically on any day, making it necessary to use a cheque to effect such transfers when those limits are being reached. Telephone banking provides access to banking transactions over the telephone. In many cases telephone banking opening times are considerably longer than branch times. A financial institution may allow its customers to deposit cheques into their account by mail. Mail banking can be used by customers of virtual banks (as they may not offer branches or ATMs that accept deposits) and by customers who live too far from a branch. Most stores and merchants now have to except debit card access for purchasing goods if they want to continue operating, especially now that some people only use electronic means of purchase. In the UK it is now reported that 1 in 7 people no longer carries or use cash. Any cost or fees charged by the financial institution that maintains the account, wherever as a single monthly maintenance charge or for each financial transactions it will depend on a variety of factors, including the country's regulations and overall interest rates for lending and saving, as well as the financial institution's size and number of channels of access offered. This is why a direct bank can afford to offer low-cost or free banking, as well as why in some countries, transaction fees do not exist but extremely high lending rates are the norm. This is the case in the United Kingdom, where they have had free banking since 1984 when the than Midland Bank in a bid to grab market share scraped current account charges. It was so successful that all other banks had no choice but offer the same of continue losing customers. Free banking account holders are now charged only if they use an add-on service such as an overdraft. Financial transaction fees may be charged either per item or for a flat rate covering a certain number of transactions. Often, youths, students, senior citizens or high-valued customers do not pay fees for basic financial transactions. Some offer free transactions for maintaining a very high average balance in their account. Other service charges are applicable for overdraft, non-sufficient funds, the use of an external interbank network, etc. In countries where there are no service charges for transaction fees, there are, on the other hand, other recurring service charges such as a debit card annual fee. Unlike savings accounts, for which the primary reason for depositing money is to generate interest, the main function of a transactional account is transactional. Therefore, most providers either pay no interest or pay a low level of interest on credit balances. Formerly, in the United States, Regulation Q (12 CFR 217) and the Banking Acts of 1933 and 1935 (12 USC 371a) prohibited a member of the Federal Reserve system from paying interest on demand deposit accounts. Historically, this restriction was frequently circumvented by either creating an account type such as a Negotiable Order of Withdrawal account (NOW account), which is legally not a demand deposit account or by offering interest-paying chequing through a bank that is not a member of the Federal Reserve system. The Dodd-Frank Wall Street Reform and Consumer Protection Act, however, passed by Congress and signed into law by President Obama on July 21, 2010, repealed the statutes that prohibit interest-bearing demand deposit accounts, effectively repealing Regulation Q (Pub. L. 111-203, Section 627). The repeal took effect on July 21, 2011. Since that date, financial institutions have been permitted, but not required, to offer interest-bearing demand deposit accounts. In the United Kingdom, some online banks offer rates higher as many savings accounts, along with free banking (no charges for transactions) as institutions that offer centralised services (telephone, internet or postal based) tend to pay higher levels of interest. The same holds true for banks within the EURO currency zone. In the United States, high-interest NOW accounts have become prevalent throughout the industry. They pay a higher interest rate than typical NOW accounts and frequently function as loss-leaders to drive relationship banking. In 2003, banks and credit unions began to establish maximum balance accounts, which pay a premium rate up to a specified cap and a lower rate on balances above the cap. This counter-traditional trend (banks had typically established minimum account balances rather than maximum account balances) developed as a way to allow financial institutions to attract multiple customer relationships while limiting the interest expense associated with each account. Accounts can lend money in two ways: overdraft and offset mortgage. An overdraft occurs when withdrawals from a bank account exceed the available balance. This gives the account a negative balance and in effect means the account provider is providing credit. If there is a prior agreement with the account provider for an overdraft facility, and the amount overdrawn is within this authorised overdraft, then interest is normally charged at the agreed rate. If the balance exceeds the agreed facility then fees may be charged and a higher interest rate might apply. In North America, overdraft protection is an optional feature of a chequing account. An account holder may either apply for a permanent one, or the financial institution may, at its discretion, provide a temporary overdraft on an ad hoc basis. In the UK, virtually all current accounts offer a pre-agreed overdraft facility the size of which is based upon affordability and credit history. This overdraft facility can be used at any time without consulting the bank and can be maintained indefinitely (subject to ad hoc reviews). Although an overdraft facility may be authorised, technically the money is repayable on demand by the bank. In reality this is a rare occurrence as the overdrafts are profitable for the bank and expensive for the customer. In the United States, some consumer reporting agencies such as ChexSystems, Early Warning Services, and TeleCheck track how people manage their checking accounts. Banks use the agencies to screen checking account applicants. Those with low debit scores are denied checking accounts because a bank can not afford an account to be overdrawn. An offset mortgage was a type of mortgage common in the United Kingdom used for the purchase of domestic property, the key principle is the reduction of interest charged by "offsetting" a credit balance against the mortgage debt. This can be achieved via one of two methods: either lenders provide a single account for all transactions (often referred to as a current account mortgage) or they make multiple accounts available, which let the borrower notionally split money according to purpose, whilst all accounts are offset each day against the mortgage debt. 1 2 "High interest current accounts". moneysupermarket.com. Money Supermarket. Retrieved 12 November 2016. ↑ "Do other countries offer better banking than the UK?". bbc.co.uk. BBC. 24 May 2012. Retrieved 12 November 2016. 1 2 "Free banking a dangerous myth, says Bank official". bbc.co.uk. BBC. 24 May 2012. Retrieved 12 November 2016. ↑ U.S. and Canadian spelling, respectively; see further at Etymology and spelling. ↑ "Mobile phone apps become the UK's number one way to bank". bba.org.uk. BBA. 14 June 2015. Retrieved 12 November 2016. ↑ Alex West (23 October 2016). "One in seven Brits no longer carries cash, as we become increasingly reliant on card and smartphone payments". thesun.co.uk. The Sun. Retrieved 12 November 2016. ↑ Philip Aldrick (24 May 2012). "Free banking should end Bank official says". telegraph.co.uk. telegraph. Retrieved 12 November 2016. ↑ James Titcomb (3 January 2015). "You may not know it, but you are paying for your bank". telegraph.co.uk. telegraph. Retrieved 12 November 2016. ↑ Tugend, Alina (2006-06-24). "New York Times". New York Times. Retrieved 2013-11-23. ↑ Ellis, Blake (2012-08-16). "Bank Account History, cnn.com". Money.cnn.com. Retrieved 2013-11-23. ↑ Ellis, Blake (2012-07-16). "CFPB Credit Reporting". Money.cnn.com. Retrieved 2013-11-23.